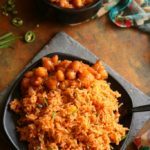 schezwan fried rice recipe | veg schezuan fried rice with step by step photos and video recipe. 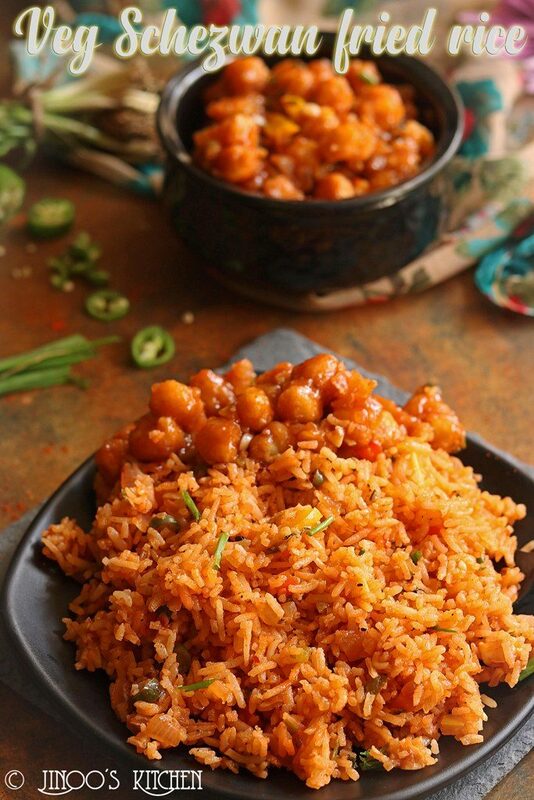 popular indo chinese recipe made with schezwan sauce and is spicy and flavorful rice recipe. one of the easy lunch box recipe if you have the schezwan sauce handy. I first had schezwan sauce when i was out with my friends about 13 years before. it was super spicy and i remember having glasses of water. 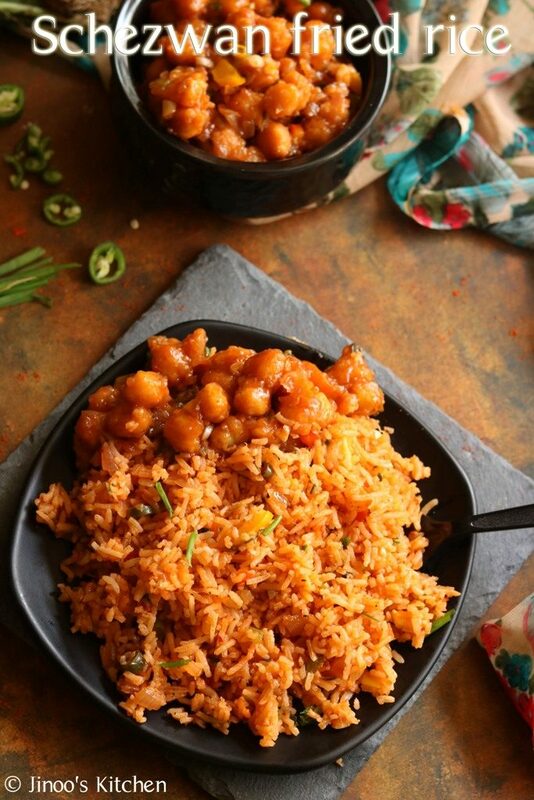 schezwan fried rice is a chinese dish made with highly strong flavors of garlic, peppers and chillies. this one is a indo chinese version of it. cooking basmati rice is important in the final outcome as it plays the major role. you have to cook it at right consistency and non sticky. add oil in water while you cook it. i dont prefer to pressure cook. also the rice has to be completely cool before adding it to sauce. heat oil and add garlic, green chilli, onion, carrots, bell peppers, beans and fry for 30 seconds. add spring onions, paneer, salt and mix well. further add tomato sauce, soya sauce, vinegar, pepper powder and mix once. lastly add schezwan sauce and sprinkle little water. let it boil for few minutes. when almost all the moisture is gone. add the cooked rice. lastly sprinkle chopped spring onions and serve hot ! 1.heat oil and add chopped garlic and chopped green chilli. 2. also add chopped onions, chopped carrots, chopped bell peppers, chopped beans. 3. fry until the onions are transparent. also add paneer, chopped spring onions and season with salt. 5. further add vinegar and pepper powder. 6. lastly, add schezwan sauce to the pan as per the spiciness. 7. mix well and sprinkle little water. let it boil for few minutes until the water is absorbed. 8. lastly, add cooked rice and mix well with fork. 9. gently mix until well combined. sprinkle chopped spring onions. serve hot with side dish of your choice. I have served it with chana manchurian.